From Part 1 of this series you learned what brought us to the point of deciding on an enclosed deck/patio. If you want to know a little about the gazebos at your local home improvement store see part 1. Even though we had thought about an enclosure for 10 years, we still needed to put a few things down in writing so we wouldn’t overlook anything that we wanted to get out of the enclosure. I guess what really pushed us to the decision was the really bad winter we had just experienced in Ohio. It was a throwback to what our winters use to be like, colder and more snow! We decided to fight back against the rain and storms so we could enjoy the outdoors while being indoors. We want to enjoy our deck for more than just the summer months. Eight to nine months on the deck is something that we would really like to achieve. That means more than just a screened in porch! We would need windows. Year-round usage would be great, but a four season enclosure was more than what we wanted to invest for our house and neighborhood. For those times when we want to sit outside in the summer we can use the lower deck. Our grill will have to move to the lower deck as well. So we knew the type of room we wanted, but who to buy from and trust was another investigation. Fortunately we had seen the cheaper enclosures in our earlier investigations, and we didn't want something like that attached to our house. Cheap lawn chairs can be thrown away, cheap add-ons to your house is a disaster waiting to happen. No thank you on that! A quick check at the BBB told us that the builder we met was in good standing for 50 years. After talking to a few people at work I discovered someone who had used them for their enclosed patio, and they came with high praise. So we decided on American Patio Rooms in Akron, Ohio. They had already been very professional and friendly from the start. When the owner came to visit with us he addressed all of our questions and wants, but more importantly brought most of them up before we had to ask. Here is what is important, the proposal was well documented with all of the details we discussed in writing. Attention to detail and everything in writing, now that is impressive considering some of my experiences with other contractors. He was obviously well experienced in the business of enclosing decks. We decided on what American Patio Rooms calls a hybrid room. A three season room with thermal pain windows, but no thermal break on the walls like a four season would have. We wanted to keep our costs low so we went with a flat roof, and since we are building on the second floor, shingles wouldn't be needed. We sketched out the area for the fireplace, placing it in front of a small wall instead of windows. We signed the contract and got on the schedule to have the room built, about a 7 week wait depending on Ohio weather and building permits. Overall the cost was about $2,500 more than we wanted to spend, but you don’t want to go cheap on this part. It is another room on your house. Finally, my wife created her list of wants. It was pretty simple. She decorates the deck how she wants it with no input from me. 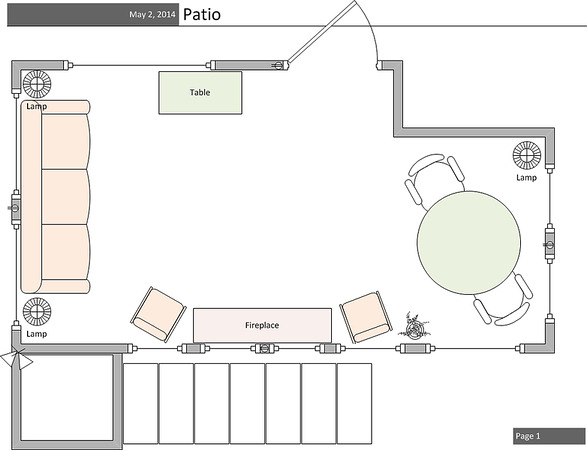 Now, while we wait for the deck to be enclosed, starts the decorating ideas that I will document in part 3. Floors, rugs, furniture lights and plants, oh and the fireplace. 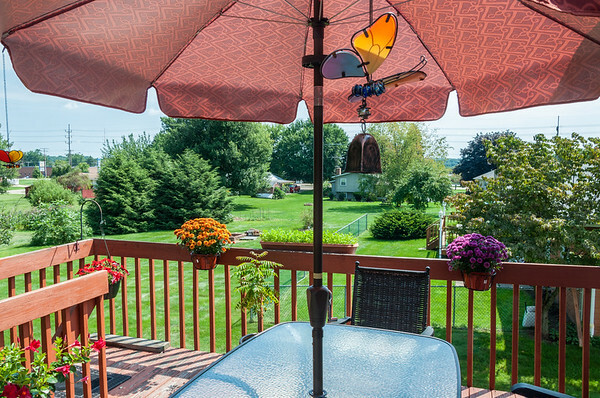 The big takeaway here is to really think about what you want from your deck/patio room. Make sure it is the right size, and you can use it the way you want too. 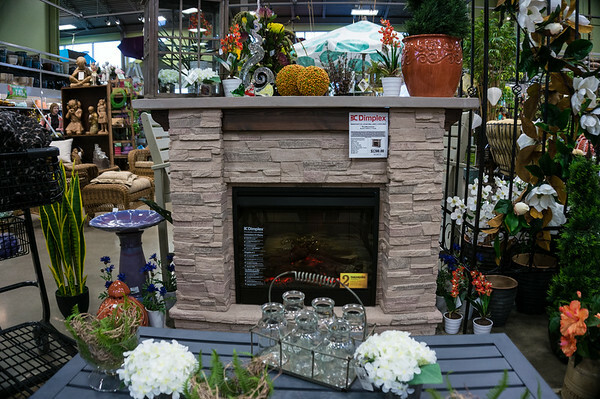 Staying in the house on cold days can seem more like a cave, and a room with all windows that is nice and warm with a fireplace can really change your mood.